As the years before, a big celebration of Greenland’s national day in Aalborg is being held. 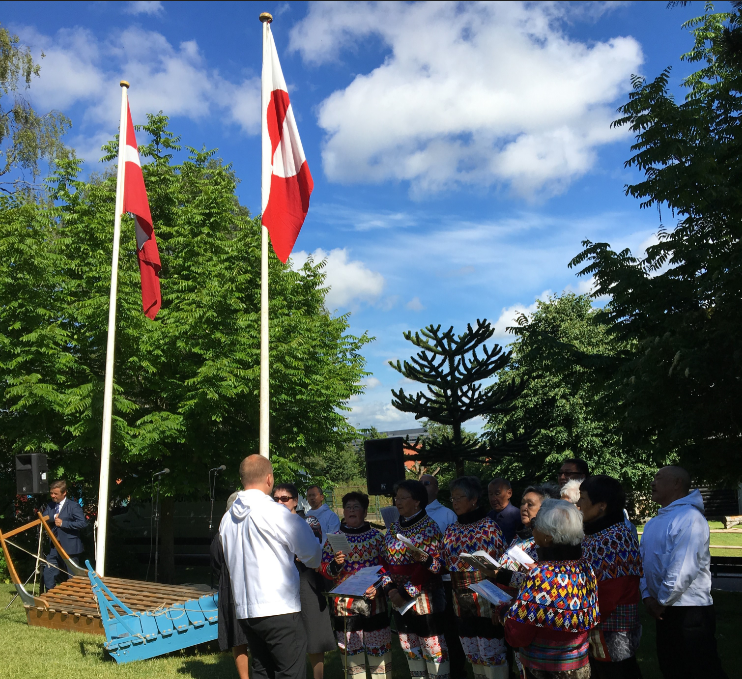 It is the Greenlandic House in Aalborg in collaboration with among other, Aalborg ZOO and Royal Greenland, who is setting the framework for celebrating the day for all citizens in North Jutland. The national day will this year start with an ‘Open House’ in the Greenlandic House, in Aalborg on Vesterbro 79. There will be a tour with an opportunity to see the physical surroundings underlying the new Greenlandic House. There will also be served tea and coffee. At 11.00, Erfalasorput will be hoisted with songs from the Ikinngutigiit choir. In accordance with the tradition, the national day will also be celebrated in the beautiful surroundings of Aalborg ZOO. The event starts at 15.00 and will be free for all Greenlandic residents, their families, as well as people with a connection or interest in Greenland. Last year, the event featured more than 1,000 visitors who spent the day in splendid weather. This year, the program will include entertainment and speeches. There will also be tea, coffee and cake, where Royal Greenland will be serving tastings of various delicacies. The day will end with the grill being started, with a possibility to bring own food. You can read more about the national day and see the full program here. We, in Arctic Consensus, wish all a very good national day on 21 June.